Market research is important for small business owners to get and keep a competitive advantage in their local market and beyond. Here in Orlando, small business owners feel the pinch of a growing economy that has a high-tech atmosphere. The competition is fierce no matter what market you serve, and this is why a thorough market analysis is a must-have for all small businesses. I have worked with several small businesses owners here in Orlando who are looking for ways to improve their business. One of the best ways to do this is with a market analysis to understand customers and market trends. The real purpose of a market analysis is to help business owners and their teams gain an understanding about their competition and customers. No matter if you are a young company or startup, you can find great research tools from free small business marketing tools so you don’t have to spend a lot of money to achieve the results that we are going to talk about in this post! Expand your current services and offerings. Why Is a Marketing Analysis Important? A few weeks ago I wrote an in-depth step-by-step guide on how I conduct basic marketing research for clients. This guide shows some of the tools I use for my Orlando business marketing partners and provides my general thoughts as I conduct a marketing analysis. Following this post, I received several emails from business owners here in Orlando asking why they would need this and how it benefits them. 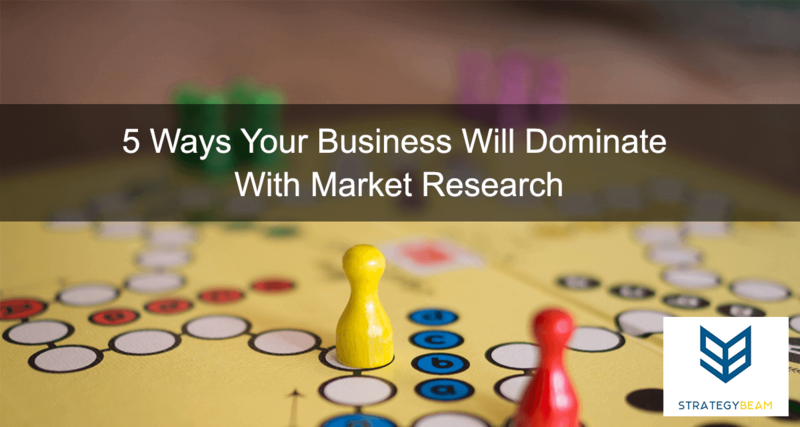 The main reason to go through the market research process is to get information to help your business grow and strengthen your position in the market. Here are a few key reasons that all small business owners need to invest in market research. Many times marketers and small business owners believe they know their customers better than they do. There are ways to confirm your assumptions before launching a product, but marketing research gives you business insight. Your customers are the most important part of your business. Since your customers consume your products and services, you need to make sure you understand their wants/needs. The market research process forces you to look at your customers, your products, and your competition. I have gone through the entire process for several local Orlando business owners. Our findings provided great insight and helped the business to alter their plans and campaigns. This shift saved them lots of time and money, plus they were able to serve their customers better! A detailed market analysis report will help your business understand your customers and how your competition interacts with your customers. Market research can help you understand underserved consumer section so you can focus on ways to serve your customers. One of the most dangerous things a business can do is to assume they know what their customers want. If your assumptions are wrong, then your business risks losing a lot of money in the process. Along with helping your business serve your customers better, a market research analysis will also help you identify your target market. This type of information is vital to ensure your business is marketing and promoting your products/services to the right demographic. The channels and messaging of your business are based on preferences of your audience. A market research analysis helps you identify your target market and helps direct your marketing efforts based on user profiles and preferences. Much like the previous benefits, market research permits your business to discover ways to increase sales and maximize profits. By going through the process to develop a market analysis, you will identify new methods and approaches to increase your bottom line. Several Orlando business owners have shifted their company’s concentration from maximizing sales to increasing profits for their company after we reviewed a market analysis. We were able to identify not just untapped opportunities for profits, but also how to optimize their marketing dollars. This type of shift was only possible by understanding all the components that influence profitability, as seen from a marketing analysis. When your business understands your customers’ needs, attitude, and wants toward your product you can increase sales. You can also increase sales by knowing what your competition is doing to take appropriate action. A market analysis of your small business can help you target customers who are currently using your products or services and convert non-users into customers for your business. With this insight, your business will be able to work with your team members to identify opportunities for growth and optimization. Market research will help your business grow and provide better products/services for your customers. Let me know if you are interested in an Internet marketing strategy! Now it’s your turn. Let us know how you have used market research to improve your business! Were you able to find a new product opportunity, learn about your competition, or discover more about your target market? Let us know in the comments below!